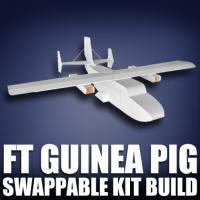 The FT Guinea Pig is a speed build cargo plane is the perfect platform to carry out the craziest experiments in the air! 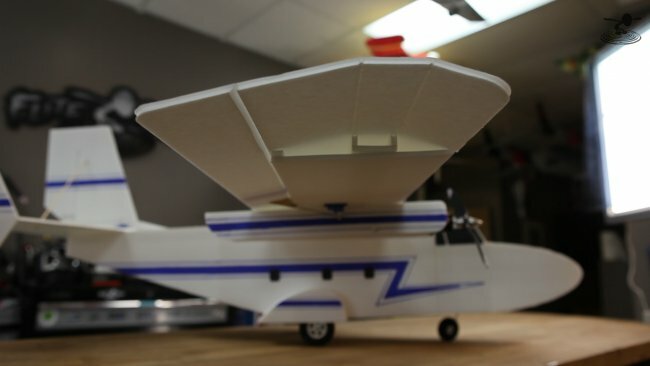 The FT Guinea Pig (foam board cargo plane) is Peter's 2nd design for Flite Test. 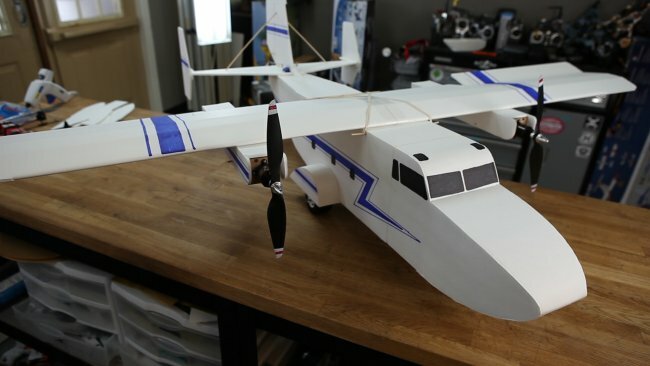 Though versions of this scratch built RC airplane have been around for years, this Flite Test SBK (speed build kit) "FT Guinea Pig" has unique features like a removable/ replaceable nose! The FT Guinea Pig has all of the same features as our Mighty Mini Twin, "The FT Mini Guinea". The FT Guinea Pig of one of Peter's favorite RC cargo airplanes and it's becoming a favorite with the rest of the Flite Test team! The twin engines, replacable nose and large cargo area make this plane great for experiments and drops! Thanks to everyone who helped give us feedback and supported us during the design of this speed build cargo! Bomb drops are just one of the many things fun things this airplane can do. ...mount cameras anywhere you want! We're excited to see what you will do with your FT Guinea Pig! WOW, nice plane. i would also like to see some more of the folding wing. nice combo with the Guinea Pig. Fabulous release video! I've been flying a depron and carbon fiber Cargo Twins for years and love it. It's about time Peter benefits from his creativity. He's developed a test bed that I think will be as popular as the Phil Kraft Ugly Stik. People have already started to copy it. I wish you much more success Peter. the little jet looks kind of a stryker I've just recently tried making one similar but bad weather pushed the maiden off I'd love to see something like that released and dropping it out of a plane sounds awesome! i NEED the plans for that tiny folding plane! thats another plea for the mini folding plane !!! Please release the folding plane as a speed build kit. I got very excited when I heard Josh talk about the bigger Guinea in last years round up video and eagerly await to build it! Thank you guys so much for inspiring me to build my own planes! Whow. I got really excited when I sae that you finally released the guinea pig episode, cause I thought you'll probably took a lot of effort for this one since you were postponing it so long. And I wasn't disapointed. best epsiode you did for a while I was really laughing hard when watching this. As someone said before: YOU ROCK! PLEEEEEEASE, release the plans for the folding plane I would totally love that! That is soooooo cool I also will feel very incomplete until I have the plans for both those planes!!! Another vote for the mini plane. That thing looks awesome, small, and cheep to build and replace. I want one. Another request for the folding plane. Pretty cool even when not dropped from the Guinea. That folding mini plane looks awesome. I love to see plans or a speed build kit. How about a build video and plans? Also for the folding wing mini, please. Build video and plans come out tomorrow. Definitely want that folding plane as a speedbuild kit. and Plans! that is one of the coolest things I have seen on the show. Another "Please?" for the mini swing wing! That's a fantastic setup, Here's another vote for the Mini folding plane, looks like it would be perfect to carry in the car to and from work! Can't wait to build the Guinea! 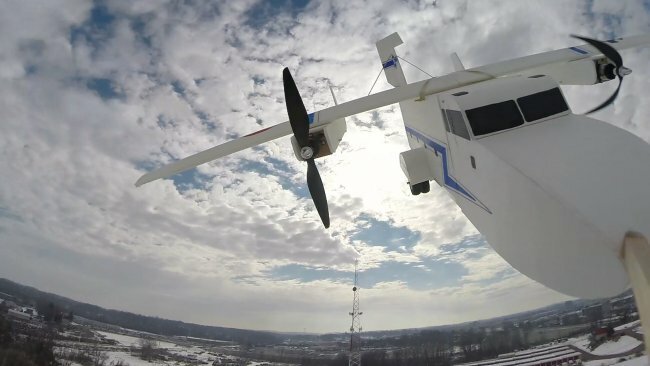 That little folding wing is great! I NEED the plans and/or a SBK. 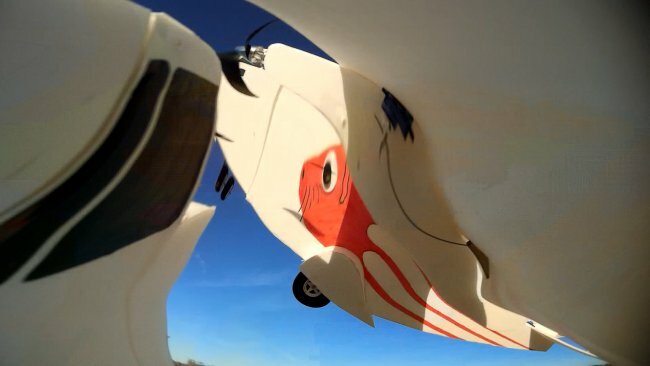 This video is great- Two awesome planes in one episode! Please release plans for the folding-wing "jet" plane. I just ordered a Guinea Pig with the Electronics combo, need some cargo! I CHALLENGE Peter to make a MINI FOLDING-WING PLANE to fit in the Mini-Guinea. I have already built two Mini-Guineas, need cargo for them, too. Easily the best episode i've ever seen. Great work FT team. Yes please on the mini folding wing jet... how could you not let the guinea have it's baby??? Please post plans for the folding wing jet. That is a cool plane. Nice job Ft crew. Amazing episode and two incredible new planes. 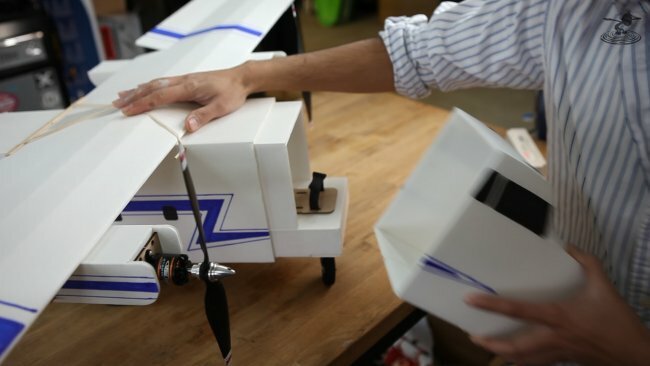 Are the free build plans or sbk going to be avaliable for the micro folding wing? 5 Stars...this video is easily one of my top 5 faves! Great work FT and awesome design Peter. +1 for plans on the swing wing plane. Yeah you gotta give us a kit or at least plans for the folding wing thing. Please give us the plans for the folding wing plane. I would love to get my hands on plans or a speed build kit for the mini folding wing! Plans for both big Guinea Pig and Mini Jet would be AWESOME... it is freezing out, need something to keep me busy! Great job Peter! I can't wait for the plans to come out and start building. +1 on releasing the plans for the mini jet, that thing looked awesome. Also, I am impressed with the new power packs. I priced the components individually and it looks like you end up getting the screwdrivers and lipo sack basically for free. I cannot tell you how tired I am of having to buy from four different online vendors to compile electronics. I wish you would have done this 6 months ago (as I have built up my electronic stockpile). Just add the batteries and some nicer apc style props and flitetest will be the one stop shop we have all been looking for. Keep up the good work! All videos should be this long! I have been following Flitetest for years and so far I think this is the best video! I am going to throw my hat into the ring also for the little fold wing design as both a speed build kit and a set of plans. I don't think it needs much more beta testing we all saw it work quite well when you dropped it out the Guinea Pig, we even saw how strong it was when Peter pulled a dumb thumbs and shut his radio off. I would build the mini plane as soon as plans come out. Would it work for a slope soarer? 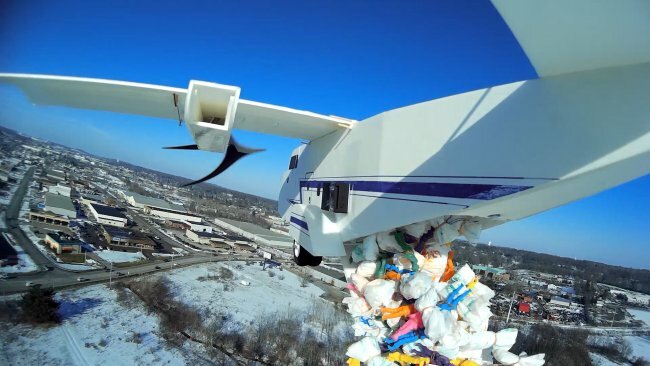 Yes, it would work, though it might not have the best performance, since it was built as a mini cargo plane, and not a dedicated slope soarer. You must have the folding wings as a design and speed build kit. Great video. The plans are not up yet, but should be tomorrow when the build video is released. You should be able to find the plans in the article for the build video. It's so expensive to send a speed build kit to Switzerland so I rather use the plans. I would love to see the Folding Wing as a speed build or at least plans! 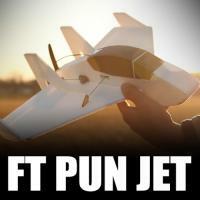 Both FT GP and the Folding Wing Mini Jet should be parts of one SppedBuild Kit and released together! Please don't let us wait for the "little friend". The history is full of failed "long distance bomber + carry-on fighter" projects; it's the resposibility of all of us to make this one successful! One of the best FT episodes I've ever watched! Great format, cool content, fun interviews, amazing camera work and editing, sensational model designs and flying and most of all had me cheering at the screen when the TWO CRASHES happened!!! Good times and great work again FT team. Congrats to Peter on two amazing designs and thanks for all your hard work!!! Another vote for the mini plane. Yes, I know there are a lot of requests already, but I want to make my voice heard. PLEASE put out plans for the Mini Folding Wing plane!!! 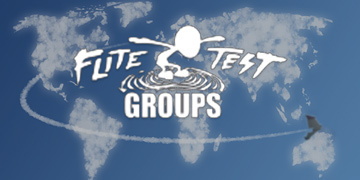 Flite Test at its best! Awesome planes (both of them) and super fun episode to watch! Thank you and keep up the good work! @Peter: Congrats and keep them crazy ideas coming, they are amazing! Yes we want the folding wing!!! Great video, it is one of my new favorites. Also, please release the fold wing, it looks like a blast to fly! 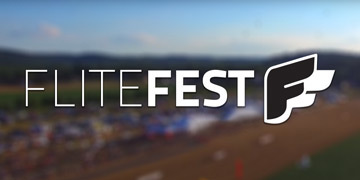 Some folks have complained that FliteTest lost a little of its mojo late last year. Those people can go... somewhere else. Just from the intro this is by far my favorite of y'all's videos in a very long while. Videos like this are why I watch/listen/read you guys. Epic. Oh, and, yes, the little folding plane needs to be in the store, or at least in plan form. Please! Good to see Josh Scott again! The Guinea Pig looks like an amazing airplane. There seems to be nothing it cant do well which I think speaks highly of the amount of work you guys (especially Peter) has put into making it such a solid and well thought out design. Im looking forward to seeing what crazy things the members of the flite test community do with their Guineas. I know I want to build one now and put the mini plane in the cargo bay. Speaking of that please make the plans/speed build kit availible for the mini folding wing plane! It looks like a fun little "pocket rocket"
Please make the mini folding wing plane. It looks so awesome. Awesome, I want one. But I am starting slow and careful! Thanks Peter and FT! Best entertainment for a cold snowy MA winter! PLEASE PLEASE MAKE THE MINI FOLDING WING A SBK. Just please don't wait 3 months for it. It can be a mighty mini, or a simple series plane!!!! AND I dig that you guys are including hex- and screw-driver in the electronics kits. Good show. 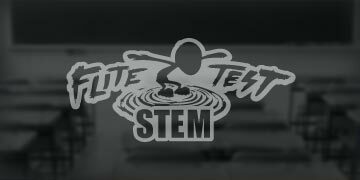 Any chance we might be able to buy those nifty Flite Test tools on their own someday? I'll second this, I would like to see the FliteTest tools on the store separately. The logo on them looks great......also love the design and price of the FT Lipo Bag! I need the video for mixing the motors to the rudder! Hey, design some skis to go with the airplane, or maybe move the rear wheel base a bit further aft to increase flare usefulness! YES to the mini plane! Make a speed build kit on the foldable plane! Hundreds of hours devoted to the Pig, but all we want it the mini plane made of scraps! I want to build one around a 2200mah and a 2826-6 2200kv Outrunner! Wow, Guinea, folding wings and announcement of Power Packs all in one episode, How much better can it get. Did notice the descriptions for Power Packs in the store need to be refined a little, ie: Power Pack C saying it is for any single motor plane in mini series and then listing (2) motors. Might confuse a newbie into getting wrong item, just saying. I was speaking of Power Pack C listed for fixed wing large for $65.00. 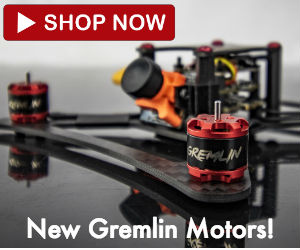 In description it list two motors and two ESC and says it is for any mighty Mini. Pretty sure this is a mistake and might mislead someone. Peter, heck yes. Make the mini jet available for free build plans! Wow. I love the mini Folding plane. The whole episode was awesome guys. Great job. 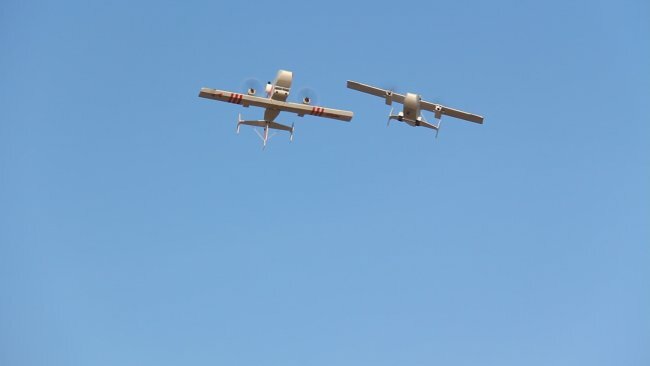 I really want a twin, they seem to fly great. Great work Peter! And please post the plans for that sweet folding wing mini. 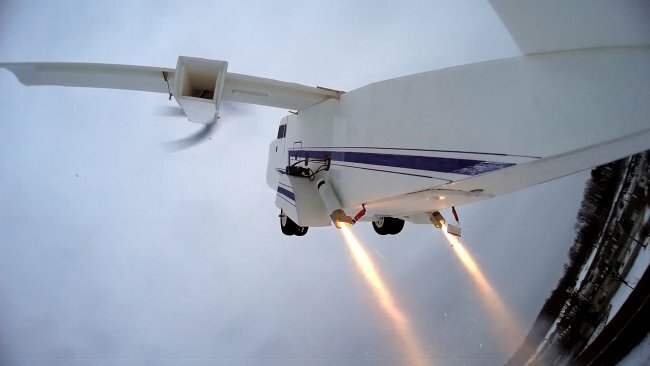 It could be a good way to do a "rocket plane 2.0" episode as a sequel to David's HK Parkjet. Or is it 3.0 if you count the Shinden episode? Anyhow... We love that mini! Last year I made the 100% rc The Twins, out of 6mm depron, a Peter design and Larry (RIP) made the plans, but the wings are a bit fragile. Foamboard is stronger, but we can not buy Dollartree foamboard in the Netherlands. Only expensive (4 euro's) foam, and you can not peel of the paper of. So we do need this foamboard in Europe too ;-). Have not watched the whole thing so well be leaving more comments. First off I love the intro nice and long. Second YES make a speed build of the little jet. Maybe since it is designed for the Guinea you could have a special package with both planes. That was THE top FT crash ever! Been waiting for this one for a long time! Thanks Peter n Josh an I'm sure the rest of the crew for a GR8 job, can't wait to get mine.Please do the folding jet as I'm sure it will be a winner, any chance you can get the tri or quad ready b4 flitefest this summer? I have my reasons for asking as I would like to fly them while I still can so PLEASE help an old guy out, ok? Really like seeing Josh Scott again I think it works better with 3 of you again, I like the dynamic alot! Way to go an congrats on bringing the G. Pig to market! My grandson an I Love the show. 100% YES to the mini plane! Speed build kit maybe?? Yes peter mini folding plane plans!! I will totally build some ! Awesome episode! Go, Peter go! Good to see 'Josh and Josh' again too! Wow I think this is the most response yet, yes to both ,I was just going to start on the mini ,but really wanted a bigger version ,so your time frame is for me just great. I want the mini planes and a how-to on the rocket mod please. Do the mini folding plane. Awesome. Small fast! My beautiful wife gave me a gift certificate for Christmas. I've been holding off for the Guinea Pig. Ordered today! Now how about that sweet swing wing plane? Yes! Great job with that one! The guinea is great! Definitely do the folding plane! 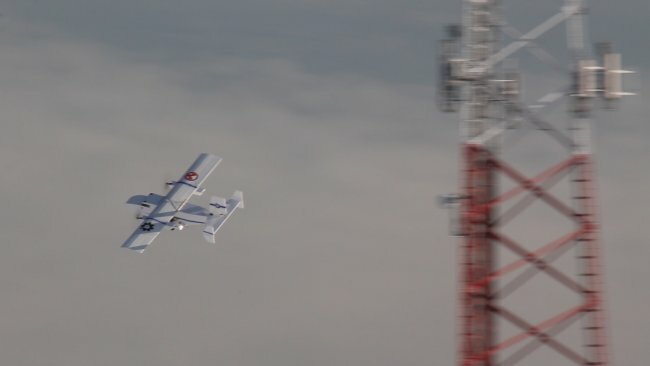 That little folding wing, that is the coolest plane i have seen in a long time. I would honestly build it before I build the FT Guinea Pig. Guys please release the build plans and video. I have been refreshing the Flitetest page to check if they have been released or not. PLEASE. Ordered the kit before I even watched the video!!!!!!! You guys are awesome! Peter is a great addition to the flitetest team. Got the kit ordered on Wednesday and got it in Fort Wayne, Indiana by Saturday afternoon. Does the 5 on the box mean it is the fifth kit shipped? Ha! I got one. Who cares!!!! I would like to see the swing wing in the Filtetest store as a might mini, or as a add-on to FT Guinea Pig order. Awesome job guys and yes you deff need to at least release plans for the folding wing. YES TO THE MINI PLANE!!!!!!!!!!!!!!!!!!!!!!!!!!!!!!!!!!!!!!!!!!!!!!!!!!!!!!! I assume it won't be long for the mini folding wing to come out, so I'm gonna build this once I get some new electronics. release the plane as a fixed wing as well as the folding option, that'd be awesome! and is there any way it can be a swappable? great work as always! looking forward to the mini jet! The swing wing plane is really awesome! I think that Peter should definitely make it into a speed build kit for the Flite Test store. Keep up the good work! Just a thought on the Guinea Pig's cargo door... What about reinforcing it with a pop-sickle stick, mounting a control horn on one far side or the other, and using the cargo door servo from within the cargo bay to actuate the door... It wouldn't handle as much weight pushing on the inside of the door; but it could, for light weight applications, be used to open AND close the door in mid-flight... Again, just a thought. I look forward to seeing what people do with their Guineas! I would like to know if you have the decals that you have on it??? I would absolutely love to see some plans for the folding wing. It would be great for flying with friends. Really great machine. I built a large depron Cargo Twin using the plans that Larry Ross put on RC Groups. The depron was cut by Balsa Buddies using a router. It was really fun to build and flew great. Peter was the designer. I drop paratroopers, ping pong balls and eggs from it. The rear door is servo controlled so I can open and close it from the transmitter. I have built a speed build kit of the Mini cargo twin and it flew great till one motor quit and I had to crash land it. very little damage and it's up and running again. I would love to make my Mini guinea have differential thrust but can't seem to get it to work. I have a Spektrum DX-8 and watch for the downloadable file but I guess it's not ready yet. I hope it will be available some time soon. Thanks for the great videos and products. I have also built the Mini Speedster and Scout and am working the Old Speedster now. Also built three of the NutBall models from your plans, that fly great. How can I show a photo of my large Cargo twin? I would love to see more on the swing wing. Great ideas and aircraft. Would love to teach a build class for the kids this summer. Please can we get the folding plane! You guys should make something that can fit in the mini guinea! I Want It it. If only it was cheaper to post over the pond... Perphaps free postage code ??? Cool vid.cool plane.How say David: it's AWESOME!!!! Please but up plans for the mini jet!!!!!! Ok FT, Please don't keep us all hanging in the air. Will the mini swept wing be available for purchase/download soon? I think I can speak for most uf us who would love to add this to our hangers, when when when or if not! The weather here in Rapid city is perfect and would love to get it in the air soon! I am going on a long trip and the fold wing is the perfect airplane to bring!!! Thanks, i am soo excited to fly this, i might just buy it from your store! 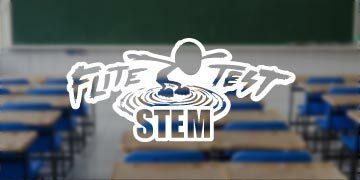 THANK YOU FLITE TEST! The plans for the mini plane PLEASEEEEEE! Any plans released on the mini? I challenge Peter an Josh to do a V-hull bottom and leave off the tail vert stabilizers. Can you see it? Instant Sea Duck -paint it yellow after waterproofing and you have a "Tailspin" version for water! 99.999999999999999999999999999999% of all comments in this article are for the mini plane XD. That mini plane is so cool it is the perfect one for my trip. I built the mini and it flies like a charm! Everybody at our club admires it and I've got to build the big one next. Congrats on two great planes! I'd love to see Peter take the same basic design, move the motors a bit forward, and put a servo on the motor mount so the prop can rotate 90 degrees vertically. I think at that point it could give the basic foundation of a Osprey type vehicle. Fantastic plane, I really enjoyed watching this video. It got me wondering if it could take some sort of Fulton surface-to-air recovery system (http://en.wikipedia.org/wiki/Fulton_surface-to-air_recovery_system)(https://www.youtube.com/watch?v=PErEsNhDmo8). In fact, that might be a cool challenge, maybe try to pick up and retrieve something into it's cargo bay. The PDF says the weight is 2.2 lbs without battery. Does anybody know if this is after being built? So including hot glue, servos, motors & esc's ect? Thanks Peter (what a creative mind!) and FT for a great plane, and idea. I've been thinking of building a mostly scale Brothers C-23 Sherpa, which the Guinea Pig strongly resembles. 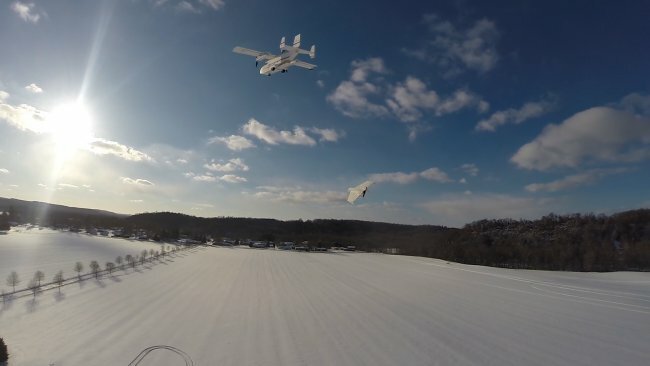 My concern with the Sherpa is that it has a very small wing chord, very glider like. I have no experience with twin powered aircraft and therefore doing some head scratching about wiring and power setup. I would like to stay with one 3s battery if possible for economy and weight. Would this be possible? I'm looking at around a 6' wingspan. Thanks guys, if it weren't for your designs I wouldn't be able to afford the hobby. Unbeleivable, this is the second plane I have ever built, and the maiden was my 9th flight ever. (I am very new to flying)Steerable nose gear made me laugh(went through 2 lipos just taxiing!) The day after, I started doing flat spins and tumbles, i use 45 deg throws with no expo. Nothing but laughter! Get the Viggen and somehow do mid air refueling! Please do it! Awesome design Peter! I'm in the middle of building my Guinea Pig. Request: Please can you guys do a build video for the C-119 Boxcar. ....please? I just tried comparing the FT Power pack C Twin at my LHS to building an equivalent kit from parts at the hobby shop and I can not believe the value that you guy offer!! At my cost (Canadian), the power pack C Twin is $126.99 and to build the bare basics to mimick the kit will cost $213.80!!! I'll put it in writing: I AM GOING TO BUY THE FT GUINEA AND THE POWER PACK TOMORROW!!! Can't beat the value!! And it looks cool and I have heard nothing shy of the very best from this platform.